Hungary represents exceptional value! Contact Us for current pricing and more details. 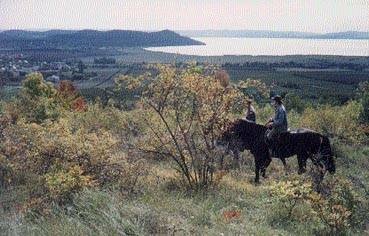 The Inner Somogy is an area that stretches from Lake Balaton in the North to the River Drava, on the Croatian Border. 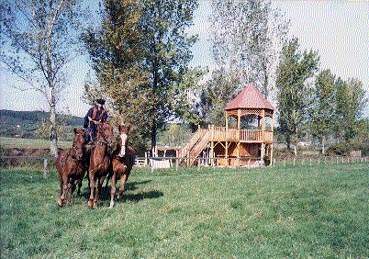 It is extremely rich in watercourses, ponds, forests and wildlife. The Somogy Provincial Association for Nature Conservation (SPANC) owns and manages protected land along this "Ecological Corridor". 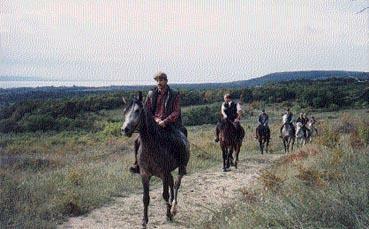 We offer 6 day tours on horse back for 4 to 8 experienced riders through this unspoiled territory. Participants who prefer not to ride can also join the group by traveling on a horse-drawn cart that follows the riders. View detailed itinerary. September: 3 days/2 nights (Friday through Sunday). Group size: 6 people (minimum). September - October: 4 days/3 nights. 3. 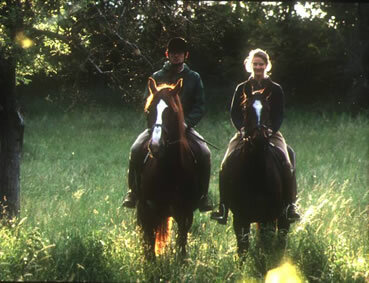 Bolgárpuszta Riding Tour (detailed-itinerary) April to October: 7 days/6 nights. Group size: min.4 - max.12. 5 full-days of riding (min. 4 hours/day). Ópusztaszer - Bugac - Soltvadkert - Szelidi-tó - Szekszárd - Hajós - Kiskunhalas - Kiskunmajsa - Ópusztaszer . Other dates available for groups of 6 or more. 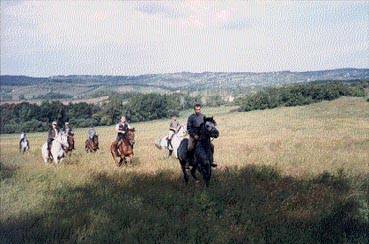 Ride through the well-known wine-growing area between the Tokaj Vinyard and the rolling hill country of Eger: Tisza Lake - Hortobágy - Bodrogköz - Bükk National Park. Other dates available for groups of 8 or more. Don't see the time-frame or tour-length you want? Contact Us with your specific wishes.